For 17 years, Hillary Clinton has been America’s most admired woman, according to Gallup. 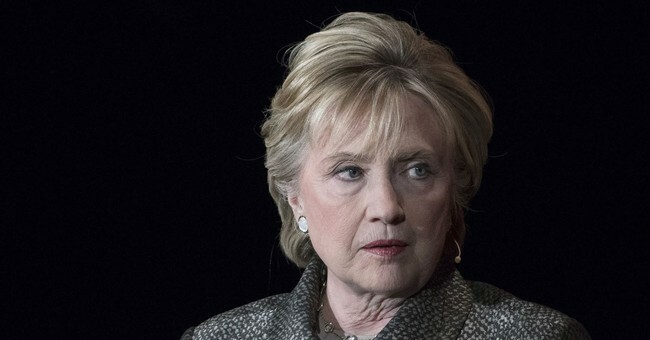 However, after yet another failed presidential run—and her inability to stop grumbling about why she lost—it seems the former Secretary of State has finally lost some of the people’s respect. This year, when Gallup asked Americans to name the woman they admire most, Michelle Obama, who came in second to Clinton three times, took the lead. It wasn’t even close. Of those surveyed, 15 percent wrote in the former first lady. Oprah Winfrey, who came in second, was written in by only five percent of respondents. And Hillary Clinton and Melania Trump, who tied for third, were named by four percent of respondents. Clinton has appeared in the top ten 27 times, and has been named the most admired woman 22 times (more than any other man or woman since the poll was first held in 1946). However, it’s really no surprise that Obama jumped to the top of the list this year. She is currently on tour promoting her memoir, Becoming, which became the best-selling book of 2018 a mere two weeks after it was released. The popularity of the book is a testament to the popularity of the former first lady. Former first lady Hillary Clinton’s memoir Living History, for example, took one month to sell 1 million copies. And even the books of former presidents have not performed as well as Becoming. Though Obama was never the most popular first lady, she maintained a rather high favorability while her husband was in office, and her likability seems to have only grown since leaving the White House. The same appears to be true for Barack Obama. In the same poll, the former president was named the most admired man for the 11th consecutive year, beating out current President Donald Trump. Trump came in (a somewhat close) second. Former President George W. Bush, Pope Francis, Bill Gates, Senator Bernie Sanders, former President Bill Clinton, Dalai Lama, former Vice President Joe Biden, Elon Musk and current Vice President Mike Pence were also among the top ten most admired men. The other women named were Queen Elizabeth, German Chancellor Angela Merkel, Supreme Court Justice Ruth Bader, Ellen DeGeneres, U.S. Ambassador to the U.N. Nikki Haley, human rights activist Malala Yousafzai, and soon to be Speaker of the House Nancy Pelosi.